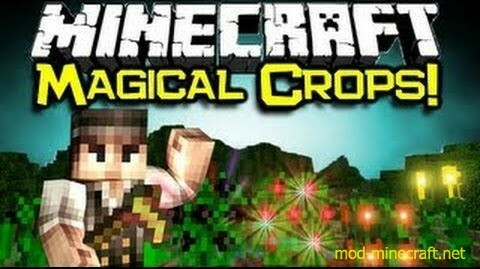 Magical Crops Mod introduces lot of new crops that grow all sort of things, from new food like sweetcorn and strawberry’s to Coal essence and Diamond essence which can be crafting into Coal and Diamonds. What is added to the game? 16 New crops 7 food types and 9 magical essence crops. 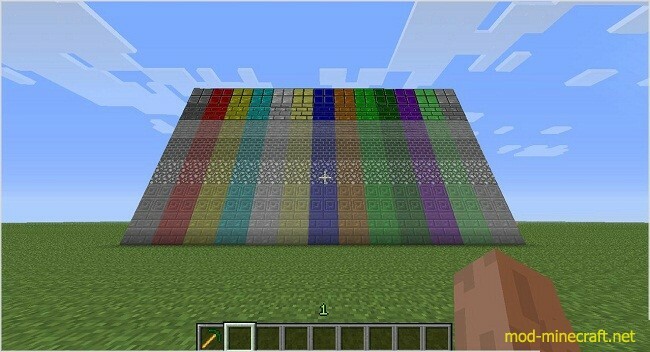 18 New block types ranging from blue to orange colors, a new type of Hoe which has 9000 durability! and seeds for all the crops. Magic Essence is one of the main items in this mod, these are used to craft the new Magical Crop which you get resources from. In the image above it only shows one recipes, this is because the recipe if only slightly different depending on the block you are crafting, so if you want Oak Planks instead of White Wool, change the White wool, with Oak Planks. The Essence Blocks and Bricks are all crafted in the same way, just change the Crop Essence to correspond to the color you want the Block or Brick. To craft the other types of Poison block just change the Glass blocks to the type of block you are looking for. The Texture on the Heal block is slightly bugged, will fix soon, Recipe wont be changed. The recipe will only accept one type of food while crafting, if you have sweetcorn and no Tomatoes just switch the Tomatoes in the recipe for sweetcorn. Herbs are a different type of plant you can grow, there are 6 different types of herbs to grow, Guam, Marrentill, Tarromin, Harralander, Ranarr and Toadflax. You can get the seeds from breaking tall grass, Some herb seds are rarer than others. Each of these are used in different potions. The potions are special as they give more than one benefit when drank. Once this is drank it will hurt you 4/5 hearts of health since it is so potent. So be warned when you take it. Once you have crafted the potion mixture of your choice just put it in a crafting table with a bottle of water and you will get your potion. These are essences that are used in the creation of Shoul crops. Passive essence have a 5% chance of dropping from al passive mobs, e.g. Cow, Sheep and Pigs. Hostile Essence have a 5% chance of dropping from Hostile mobs e.g. Zombies, Creepers and Skeletons. Right click this item when in the nether to teleport back to your nether portal. this item has 3 uses. This item is very buggy and if used when nether portal isn?t in sight will create a new portal where you stand and teleport you into a random part of the over world. When you right click this item it will heal you to full health, use this at the right time since it only has 3 uses. When you right click with this item it will blow a whole where you stand or are facing, good for mining, caution this will destroy precious ores and gems 80% of the time. This item also when held with give you a blast resistance buff and will reduce your hunger. First you find the essence ore which can be found layer 16 and below, these can be mined by any pickaxe. That will give you Magic Essence which can be crafted to 1 of 7 new crops. Once planted and fully grown you may harvest these crops giving you an food item plus 1-3 seeds and a rare chance of another Magic essence. Once you have collected enough magical essence they can be crafted into larger essence which can then be crafted into Magic seeds e.g. Coal or Diamond. These can then be gown and once fully grown will give a chance of dropping an essence of that crow and 1-3 more seeds. Once you have enough essence to make an item you can craft it. 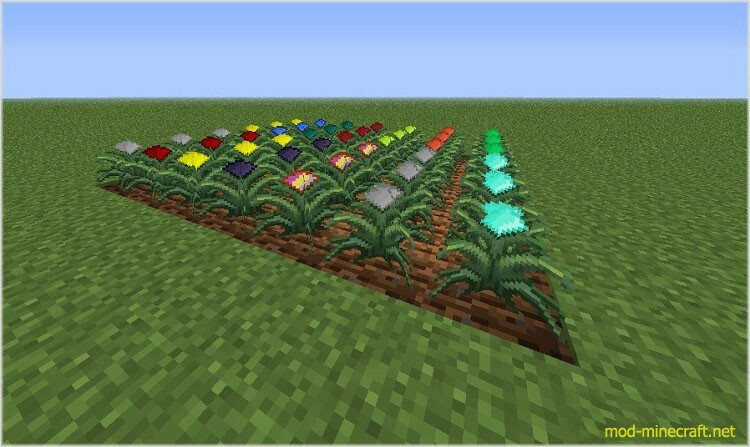 Hopefully near end game you will have a field of every time of crop making you lots of diamonds or any other item. All food items heal for 2 hunger points. There is a config file so you can change any ID?s that are conflicting. The 18 blocks are meta data block and only take up 2 ID?s. The magical crops do give out particles so if you have a lot can it?s causing lag turn them off. Glowstone crops emit a light source. 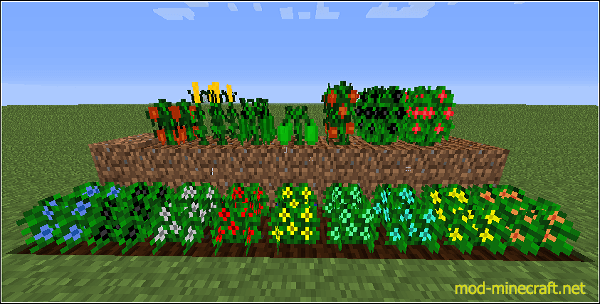 Added: Copper, Tin, Silver, Lead & Certus Quartz Crops, Seeds and Essence.